Marafiki’s tagline states: “collaborators in development”. Two of the Marafiki board members (Eloise and John) experienced the power of effective collaboration during Eloise’s recent visit to Kenya. One of Marafiki’s collaborative efforts is centered in the Kaptama community of Mt. Elgon. This region suffered heavy violence during the land clashes and post-election between 2004-2008. As a result of the violence, the people experienced much trauma, many were injured, and others were forced to flee their homes. The people in the Kaptama area are very poor, relying mostly on agriculture and subsistence farming for their livelihood. They avoid professional medical treatment in favor of traditional medicines and healers. Lack of money also keeps the people from seeking medical care since they often are unable to pay the fees. For a number of years, Eloise has been working on education efforts in the region, John has been nurturing discipleship training for young men and women, and together John and Eloise have been leading healthcare efforts in the area through frequent medical outreaches at Kaptama Health Centre. The most recent healthcare outreach combined a number of groups which collaborated together to provide needed medical care to the people of the Kaptama region. Eloise headed a team of nursing faculty, students, and a nursing alumna from George Fox University. This team was also joined by a young Kenyan doctor who has “adopted” this group of professionals. The George Fox team was joined by a group from Wabash Friends Church of Wabash Indiana. This team included: an eye doctor, a nurse, and a retired medical doctor. 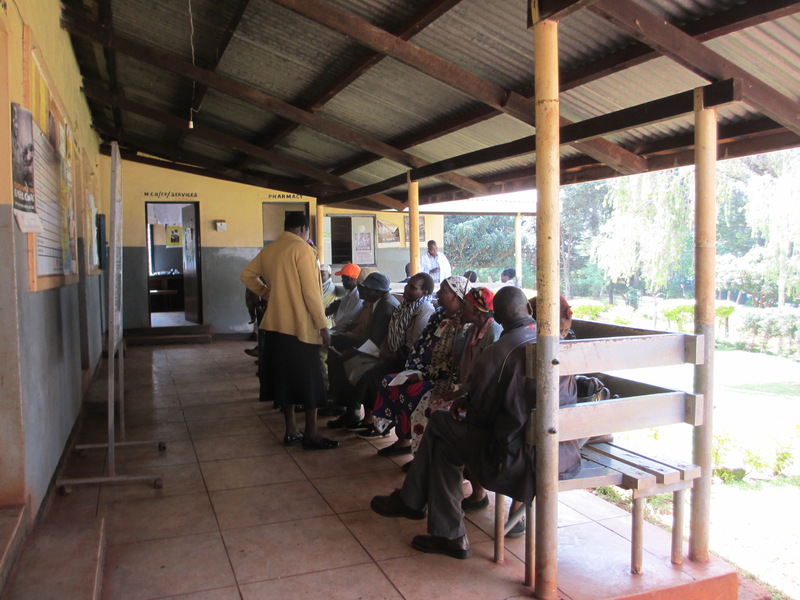 Joining the U.S. teams was a team from Sabatia Eye Hospital in western Kenya. The area Quaker churches from Kaptama under the umbrella of East Africa Yearly Meeting North rounded out the collaborative efforts. They assisted with the organization of the facility for the medical camp, hosting the visitors, catering the meals for 100 volunteers each day, and providing transport as needed. The planning for this outreach was a year in the making, with careful attention to the needs of the region. During the week-long medical camp, 50 cataract surgeries were performed, and over 1,000 people were seen and treated for both eye and other medical issues. Each group effectively partnered together and assisted where needed without concern for personal gain or who was gaining the credit for the work. Cultural humility played a key role in this effort as the focus was on the patients and their needs first, serving the poorest of the poor without compensation or recognition. This was a true model of collaboration, removing self from the equation and focusing on the other, while integrating the various skills and abilities from both the Kenyans and the Westerners. This collaborative effort was the first of its kind in this region and provides a key example of the possibilities when various groups partner together to benefit another group of people. The combination of education, discipleship training, and healthcare provides a holistic emphasis of serving the needs of the Kaptama community. Marafiki considers it a blessing to provide support for such efforts for those who are in need.